Spanish side Barcelona are insistent on landing Philippe Coutinho from Liverpool this summer. The Brazilian is likely the replacement for Neymar incase his purported move to Paris St German happens. Coutinho can also be the new long term plan for the midfield as Andres Iniesta is set to retire. The Reds have declared that the playmaker is too important to exit the club anytime soon but the Catalan side keeps pushing their luck. Liverpool have rejected one bid already but the Blaugranawant to resubmit a £90 million bid. Coutinho agreed to a new deal in January. He has a stable spot in the team compared to his uncertain future at the Nou Camp if he moves. Jurgen Klopp has dismissed any likelihood of the player leaving but Barcelona keeps trying. Liverpool are placing Coutinho in the irreplaceable spot. Luis Suarez was in that spot at Anfield as well but the club eventually buckled under pressure, and they are the worst for it until today. If Barca offer up to £90 million or the £100 million threshold, will Klopp continue to ignore? How about the rest of the senior management? The former Borussia Dortmund coach used Coutinho in central midfield last term and it affected his offerings to the team. The arrival of Mohammed Salah could help the South American star move forward into a deeper role when he thrives best. Andy Robertson’s addition could mean James Milner would move higher in the field so Coutinho can get a free role. 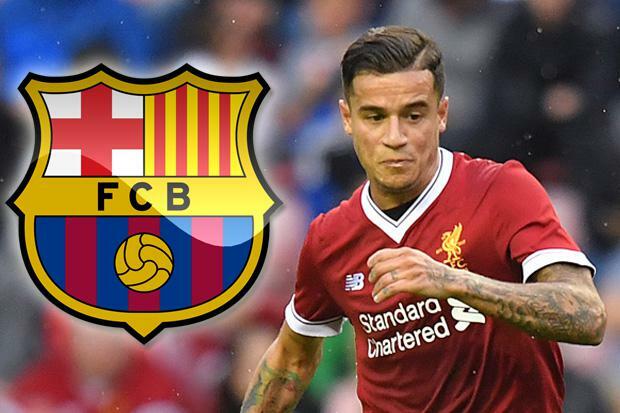 Barcelona have struggled in landing their top summer interests so they are desperate to land Coutinho. They have until August 31. Liverpool Jerseys Copyright © 2019.